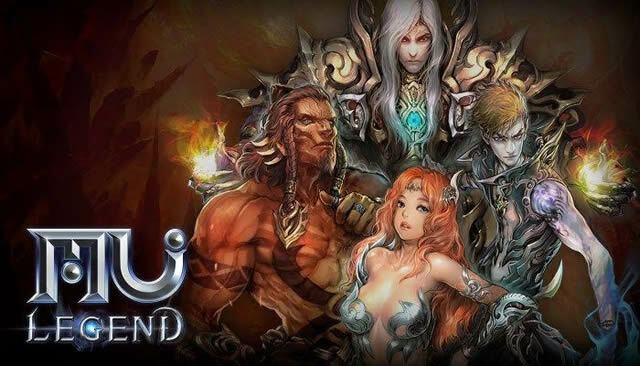 MU Legend is the official follow-up to Mu Online - one of the first 3D MMORPGs in South Korea. Players have four characters to choose from: Blader, War Mage, Whisperer or Dark Lord. Once valiant knights who were both feared and respected on the battlefield, in a moment of desperation, they sacrificed their human side to a dark force in exchange for great power. Their sacrifice altered their appearance on the outside, and their humanity on the inside. Now, they are capable of only cold reasoning. They have given up on living a normal life and no longer engage in the ways of humans. They utilize their great power to dominate their enemies, but the successes of battle are not enough to satisfy them. As they aimlessly wander battlefields, looking for purpose, they have come to be known as "Dark Lords" by those that lay eyes on them. Harnessing the energy of nature, with an expertise in stealth, the settlers of the Whispering Forest have acquired a particular set of special skills that make them infamous on the battlefield. Capable enough working alone, they are adept at handling scouting missions as they quietly blend into nature as well as silently assassinate targets. Graceful in movement but deadly in execution, their abilities are highly sought after. They attack with ranged weapons, such as bows, and utilise the energy of nature and the elements to dispatch their foes. Due to their swiftness in battle and unique casting abilities, they earned the title of "Whisperer". Born from an experiment to find a way to protect their creators, Bladers are brutal warriors nourished by rage and their will to fight as the representatives of the lower class. The rebellion of the commoners was crushed during the Great War, leaving no other solution but to create a perfect warrior in order to fight the oppressors. The Kanturians, with the help of the humans, decided to experiment with the effects of rage on a warrior in an effort to make him stronger than ever. The result was a warrior with unstoppable power and an unending lust for battle. Exiled from society, War Mages are confident and believe themselves to be superior to regular mages. They were removed from society after their magical abilities became too powerful and were considered dangerous. After being outcast, they fought as mercenaries as they attempted to control their extraordinary power. Once they did, they began to develop their own spells – ones far more powerful than those of any regular mage. They dance around battlefields casting devastating elemental spells, all with an air of confidence and superiority. Here are a few MU Legend tips to how you can level up your characters faster so you can enjoy more of the game.